Anxiety is a natural response to a stressful event. It was essential for survival when we lived in the wild. Our fight or flight mechanism helped us to run away from animals who wanted to eat us. But we now live in a modern world and have very little need for this response. The only problem is our bodies find it hard to differentiate between a real or a perceived danger. Purely being anxious at bedtime can trigger this stress response in our bodies and unsurprisingly if your body thinks you’re about to be chased by a tiger the last thing it will be able to do is sleep! What causes anxiety at bedtime? There are numerous causes of anxiety in children that can impact negatively on their sleep. These include long term unresolved sleep issues, over thinking or over worrying, nightmares, fear of the dark and monsters, starting nursery or school, family breakdowns and bereavements. Older school aged children who struggle to sleep are often perfectionists and academic high achievers. They find themselves in a vicious cycle where they worry about how lack of sleep will affect their work, which stops them falling asleep and in turn leads to negative thoughts or even fears about sleep itself. Children with anxiety at bedtime usually struggle to fall asleep and will lie awake for hours. They reappear numerous times in the evening with endless excuses such as being hungry, thirsty, too hot, to cold or needling the toilet. You take them back to bed, but in no time at all they are back out with even more excuses. This process happens night after night leading to cross and stressed parents and an even more anxious child; you all dread bedtime! You eventually find yourself getting into your child’s bed just to get them to sleep and then in the night they wake and seek you out again to help them get back to sleep. The perfect recipe for a tired and stressed family! 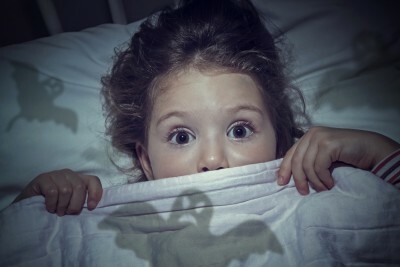 When dealing with fear of the dark and monsters, take a look at your child’s bedroom in the dark through their eyes. Ask yourself if certain toys or shadows look scary, you may need to make adjustments. Playing games such as hide and seek in the dark with torches with your child can help with fear of the dark and try to avoid scary books and TV programmes. A small night light on all night in the bedroom and a favourite cuddly toy or comfort blanket can also help provide security. If there is a particular monster that scares your child do not to discuss this at bedtime. 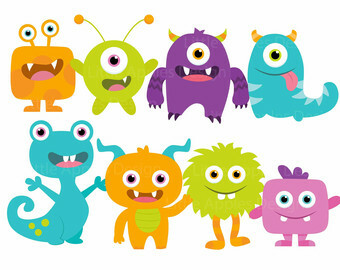 Instead in the day try turning the “monster” into a fun character with funny songs, draw silly pictures of “monsters” and make “monster masks”. These will help take the scariness away. The good news is there are simple steps you can take to help your child settle to sleep well and take the stress out of bedtime. About an hour before your child goes to sleep have quiet time. Tidy away the toys and turn off the TV. Research has shown light from computers, iPads etc. can interfere with the production of the sleep hormone melatonin. This is the time to discuss the day just been or the day ahead and any worries or fears your child may have, it is important not to discuss them at bedtime. Get your routine right so your child is asleep in 15 to 20 minutes. Initially focus the bedtime routine around the time your child naturally falls asleep; even if this seems late. For example if your child usually falls asleep at 10.00pm start your routine at 9.15pm. This way you are allowing 30 minutes for the routine and 15 minutes for them to fall asleep. Carry out the same series of steps every night – make this routine your bedtime ritual. Having a regular routine means your child’s body will start to prepare for sleep as soon as you start this process. If your child is falling asleep well in 15 minutes, after a few nights, start your bedtime routine 15 minutes earlier. Repeat this pattern, slowly advancing the start time of your routine until you reach the time that works best for your child. Have a warm, relaxing bath lasting no longer than 10 minutes. Keeping the bath to a maximum of 10 minutes means bath time doesn’t become a stimulating play time. The added bonus is coming out of the warm water allows the body to cool quickly triggering the sleep hormone melatonin. Then go straight into your child’s bedroom; going back into the living area at this time will lose the focus and magic of the routine. Pre-dim the lights in the bedroom, as this will also help with melatonin production. Have their night clothes ready for your return from the bathroom so they can quickly get dressed and climb into bed. Even if your child can read to themselves, read a quiet almost boring story and have a cuddle and kiss goodnight then tuck them in with their favourite soft toy so they are warm and cosy. Now that they’re drowsy, leave the bedroom so that they learn to fall asleep independently. In the morning let the bright light in to signal to the body to wake up and to suppress the sleep hormone melatonin. Mandy Gurney is the founder of Millpond Children’s Sleep Clinic and has been advising on baby, toddler and school aged child sleep issues for approaching thirty years. She is a qualified nurse, midwife and health visitor. If you would like help with your child’s sleep please contact us, we have been helping families just like yours since 2000.